Due to commence a series of UK demonstrations, we got behind the wheel of the new Zetor Crystal tractor to find out if it lives up to its legendary name. James Rickard reports. 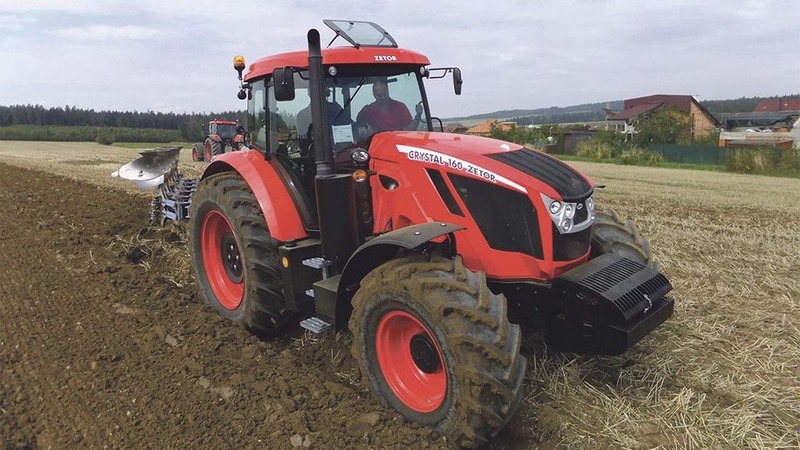 It has been 11 years since Zetor had a six-cylinder tractor in its portfolio, and it has been something the firm has been promising for a long time, particularly with the showing of the Maxterra at Agritechnica back in 2009. While the Maxterra is still a while off yet, which could potentially go up to 250hp, the manufacturer hopes to satisfy customers in the meantime with the re-launch of the Crystal range of tractors. Representing more than just a return to six-cylinder tractor production, Zetor hopes the reintroduction of the Crystal will open the manufacturer up to new markets. Maros Karabinos, Zetor UK sales and marketing manager says; “While Zetor has predominantly catered for livestock and mixed farmers, we would like the Crystal to make new ground and push Zetor into the arable sector also. Based on the transmission and rear end of a Forterra HD, with the cab of a Forterra HSX, two models make up the Crystal range; the 144hp 150 and the 163hp 160. More powerful Crystal models are being looked into, although the power handling capability of its transmission is close to maximum, so systems such as power boost, which only give full power under light loads such as pto and transport work, are being investigated. It is upfront where the majority of new developments can be found for the Crystal. Most notably, it is the use of Deutz AG engines which grabs your attention – the same 6.1-litre motors as used in Fendt’s 700 series and Deutz-Fahr’s 6 series. While the Deutz AG power unit is engineered to be a structural part of the tractor, Zetor has kept with its traditional use of braces which run down either side of the engine back to the clutch housing. 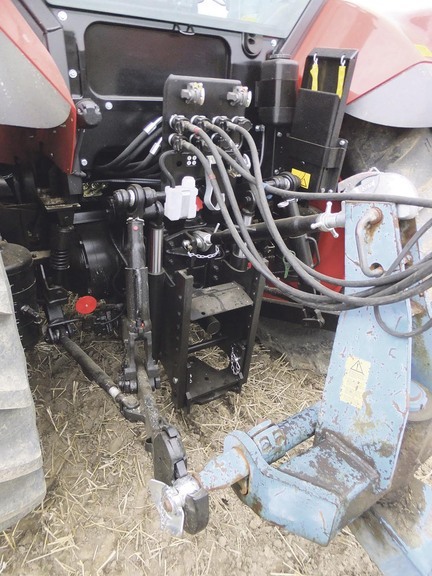 While it seems a bit excessive, the manufacturer says you do get increased torque resistance and it keeps up strength when equipping the tractor with front linkage or a loader. Despite the lack of any discernible points on the plough used for our driving impression, the 160 test model did seem to pull pretty well. In addition, the Deutz motor produces a decent sound, something which is missing from a lot of modern tractors these days. To clean up emissions and meet Stage 3b, it employs selective catalytic reduction using AdBlue. Annoyingly though, the AdBlue tank is on the opposite side of the tractor to the diesel tank. No big hassle you might think, but if your storage tanks are located next to each other, it does mean turning the tractor around to get to both sides of the machine, or using an extra long hose for one of the liquids. 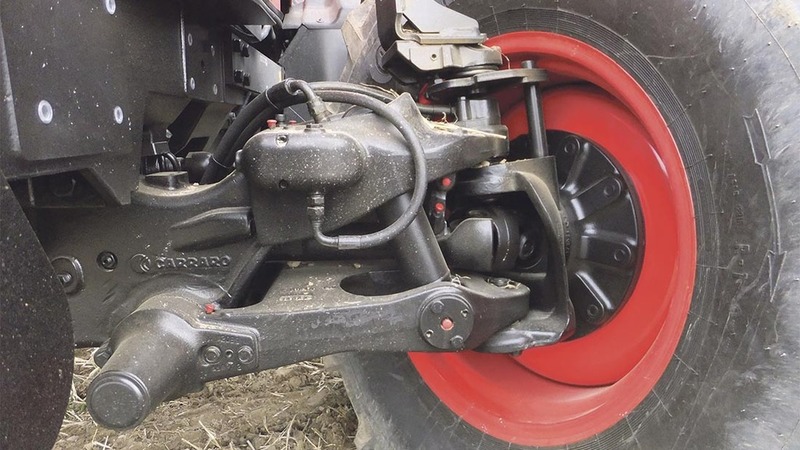 Propping up the front end is the use of independent front axle suspension as standard courtesy of Carraro. While it is quite maintenance intensive, equipped with a myriad of greasing points, it does reward with a decent ride and it does follow contours well to get the power down. The suspension can also be operated in one of three modes; auto, manual or off. In manual mode its height can be adjusted via a rocker switch. In concert with cab suspension, which is also standard, the Crystal does soak up the bumps well. If you want, you can de-spec the tractor to have no suspension. From the clutch housing backwards, it is pretty much the same as the Forterra HD. This comprises a 30 by 30 speed transmission made up of two main ranges, five gears in each with a three-way splitter in each gear. Ranges are selected via one lever while a main gear lever, which incorporates buttons for the splitter and a de-clutch button, looks after all other gear changes. Gear split changes are pretty snappy and the de-clutch button is a handy leg saving feature. Unfortunately, the gears are still the wrong way round, with all odd-numbered gears positioned closest to you and the evens placed furthest away – something which takes a while to get used to. Gear split changes can also be done automatically, with the ability to adjust whereabouts in the rev range the gears change up or down. It can be useful, but sometimes a little slow to react, particularly on the downshift, by which time you have lost momentum. Also, in this day and age is 40kph fast enough? Cab-wise, it is the same frame as used on the firm’s range of Forterra tractors, with control layout and logic derived from the HSX. While this gives a good sense of continuity throughout the manufacturer’s range of tractors, it also means it brings with it some niggles. In particular, spool lever positioning is not the best, which offers no place to steady your arm while you operate them. It is also too easy to push them straight into float. If only they could be positioned lower and within the console, it would improve things greatly. The roof window looks a bit of an afterthought too and not the most convenient on the market to use, however, at least the six-post cab affords rear quarter opening windows unlike many other makes. Visibility is decent for the most part, but the new bonnet is fairly tall, and where the exhaust pipe exits the bonnet to the right, it does impede visibility to the front right corner of the tractor. It is clear there is still a definite place and a demand in the market for simple to use tractors. And from what we have seen, the Crystal offers just that. As well as potentially being the main tractor on smaller livestock and mixed farms, the Crystal would make a good complimentary tractor, for grain carting, topping, etc, on an arable farm. Its new styling looks the part too, although the jury is still out on the introduction of the red wheels. 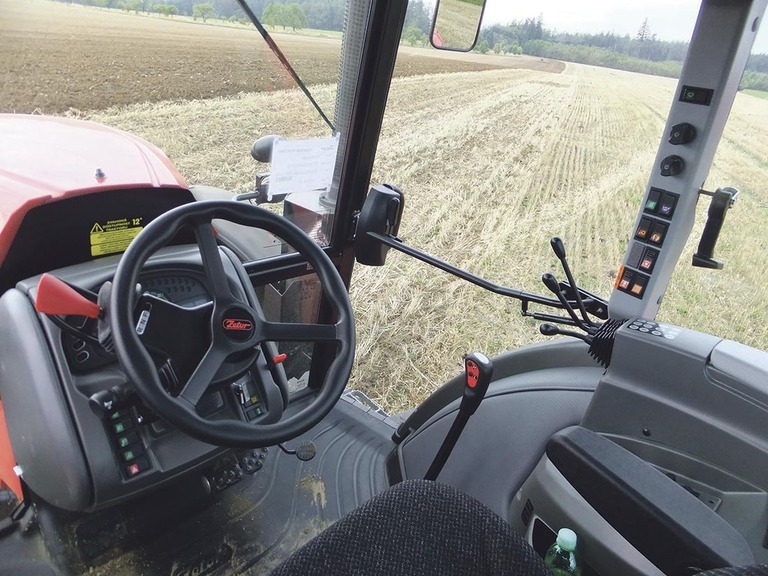 While it is a simple tractor, it still has just enough creature comforts including three-speed powershift transmission, front axle and cab suspension, electric linkage control and auto control of differential, 4WD and pto. We also understand the second phase of the Crystal’s development is already underway, which will see it get electric spool control like the Forterra HD. However, a few niggles such as gears placed the wrong way round, spool lever positioning and the AdBlue and diesel tanks placed on opposite sides could do with addressing. Overall, the Crystal is an appealing alternative to higher spec tractors. However, one of the biggest problems the Crystal is going to have is competition from good second hand tractors. Next: Cowmen comment from Christopher Murley: "It looks like they will average 3200 litres"